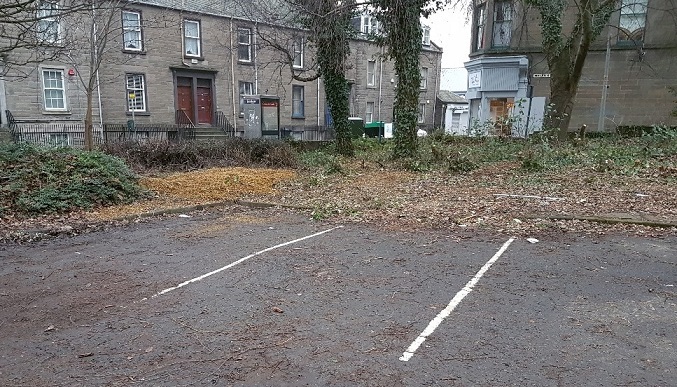 Residents will recall that, back in November, I highlighted the poor maintenance of the Miller’s Wynd car park – the foliage was very tired and there were dumped items across the car park. The acquisition by Dundee City Council of the Miller’s Wynd car park – from the University of Dundee – has provided much-needed additional free 2 hour parking in this area of Perth Road. However, it is important the infrastucture of the car park is improved and I contacted Dundee City Council seeking improvements. “I hope to see this car park given a fuller bit of design attention and I will … arrange for a bit of multi department design, surface, vegetation, seating, recycling, lighting and issues and there will be an element of community co-design. It has been agreed that at a community walkabout I am participating in soon – along with council officers, community council and ward colleagues – the car park will be visited and plans further discussed. The main purpose of the walkabout is to agree specific actions to improve West End car parking – hopefully this will result in concrete progress on this long-standing problem. The acquisition by Dundee City Council of the Miller’s Wynd Car Park – from the University of Dundee – has provided much-needed additional free 2 hour parking in this area of Perth Road. 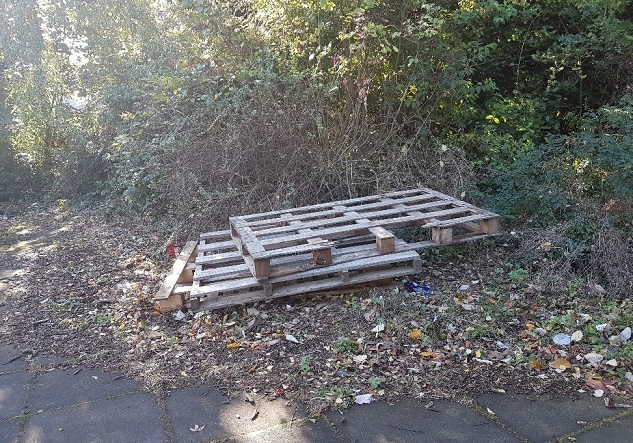 “We will ensure it is clean and tidy in terms of litter and dumped materials such as the pallets. However we will need to speak with colleagues regarding the vegetation and what is acceptable in terms of a clear out. It has been a busy first week back following the festive period, including meetings involving TACTRAN (the regional transport partnership), the Dundee Health Central project and various meetings with constituents, including a site visit about traffic safety matters at Miller’s Wynd/Hawkhill. Today, a useful meeting of LibDem activists in Perth, which a Dundee LibDem colleague and I attended. 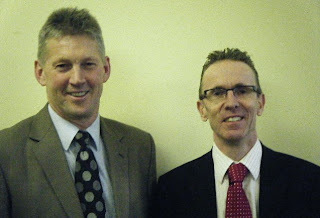 I’m pictured above with George Lyon, the leading Scottish Liberal Democrat for next June’s European Election, who delivered the keynote address today. You can read more about George and his campaign by going to http://georgelyon.org.uk/. And … an equally busy week ahead – council committees start again tomorrow and I also have the Tay Rope Works Planning Inquiry to appear at on Tuesday, together with a residents’ association meeting, a meeting at Dundee Airport, a West End Christmas Week de-brief meeting and various visits to constituents during next week. Following the start of the gas main replacement works in Perth Road yesterday, there’s been three issues raised with me by local residents and businesses. Firstly, when the road closure at the Paton’s Lane area was put in place, the lanes to the south at Paton’s Lane, Thomson Street, Seafield Road and Lane and Westfield Place were all closed at the Perth Road junction (and the one-way situation in Paton’s and Westfield altered accordingly). 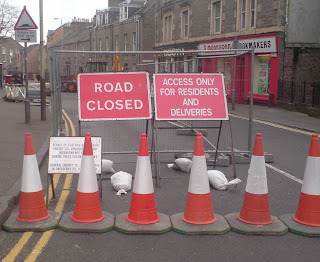 “The City Council met SGN on site this morning and after further review, decided to re-open Westfield Place and Seafield Road to run as normal until it is absolutely necessary to close them due to works. In other words, Westfield Place is open as normal ie one-way (North to South), therefore access is via Perth Road (from city centre side) and through the signs which say Road Ahead Closed/Road Closed/Access Maintained, etc. Seafield Road is two way, therefore access is now from either Perth Road or Roseangle/Magdalen Yard Road. 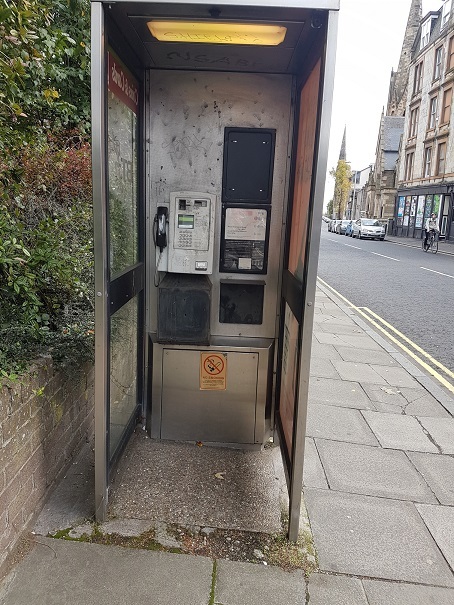 The second issue is there is a clear need for additional bus stops on Hawkhill (one outbound, one inbound) between the stop near Urquhart Street and the one near the Health Centre. Having spoken to residents, I think one around Millers Wynd’s northern end makes sense. I spoke to the Sustainable Transport Team Leader in the City Council about this today and agreement has been made to provide this. Lastly, there was a problem getting the Friendly Bus (sheltered shopping service) into Paton’s Lane today but I have been in touch with SGN, Turriff (the gas contractors) and Stagecoach Strathtay, and I’m hopeful that future journeys will be alright.